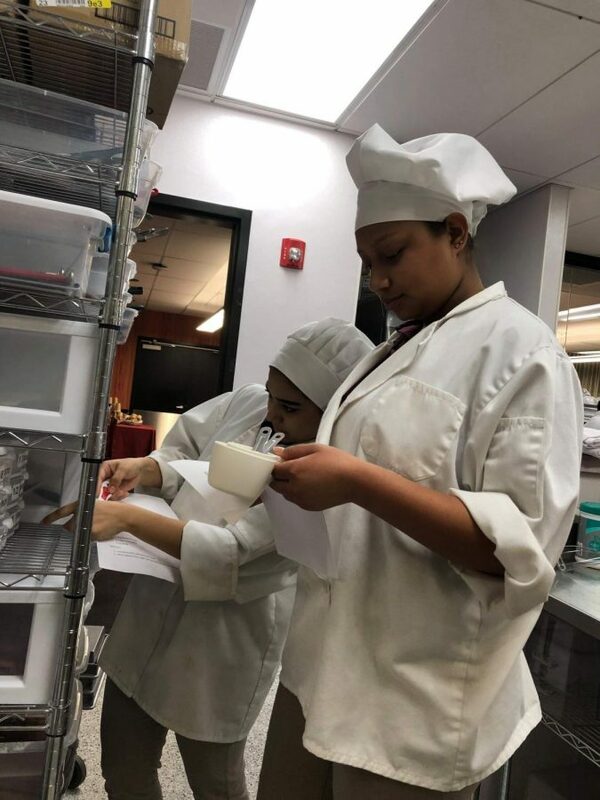 FOLLOWING DIRECTIONS… Merari Munoz and her friend are in culinary class. Merari Munoz looks for the right measuring spoons while her friend reads recipe instructions. I think the culinary program is a great way to teach students new experiences. I think the students have fun in that class and learn new things in the process. Its nice to see that they are interested in learning how to cook and other skills. its amazing how you guys cook food for the teachers. I’m always passing by the culinary kitchen and it always smells delicious in the morning when you guys are cooking!! Also you can see how much fun you guys are having in the kitchen !! I really enjoyed seeing actual images of the culinary room and how students actually cook for the teachers. It would be a good idea for the school to allow students to come into the “restaurant,” as well but only those who have good grades may attend. This will give the students at East a better idea of what they are cooking up in the kitchen. I enjoyed seeing that the students actually cook for the teachers and set up the classroom like a restaurant and make reservations, its a good and fun idea. I think the culinary class really benefits students because it teaches them a useful life skill. We all need to eat but they learn good recipes and tricks, and at the same time they earn a grade for it. It also shows students team work and patience. 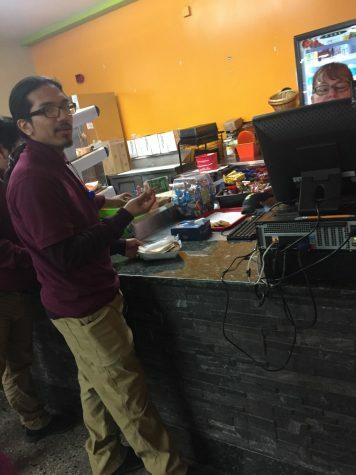 They work with other students and making food can be time consuming. 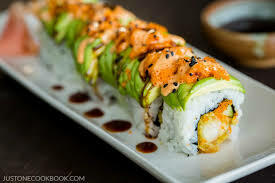 It is interesting how each person has their own role to complete the dish. It is amazing how not only students learn how to cook in a fun way but also learn to work with other people to complete something. Culinary sounds really fun. I would want to take it my senior year. Maybe they should cook our school lunch and whip up something good. I think the culinary class is really cool. You get to learn all these skills that will benefit you so much in the future. I also helps students to work as a team and learn from others. It can also bring the family together by sharing new recipes and cooking with friends. It can also teach students a lesson of how important it is too look out for one’s self. Also, who wouldn’t want to be around food all day? Count me in! I am tempted to join but i have a horrible fear of knives so that would limit my cooking capabilities and i really don’t have experience in the kitchen. I think that the culinary class is very beneficial to students who inspire to become chefs. This class would give them many skills that they could use once they are adults. This class also looks very fun to be in! I really enjoyed this article because I don’t know much about the culinary arts class, but in the pictures it looks like fun. The food smells delicious whenever I pass by there and it’s amazing how both girls and guys work together in things class to make delicious food. I think culinary arts is a good thing for students to benefit from. Culinary is something that you will always use in your life. I already know how to cook but I feel that if I took this class then I would become and even better cook. I would say that the Morton East Culinary Program is a great addition to the selections of classes that are offered at this time. In particular, the cooperation that exists between the students show how much food can bring people together. Honestly, if I wanted to be at a place where I KNOW I am going to be treated well and where both the food and the experience are great, Morton East is a place to start. I think the culinary arts class is ver beneficial because it teaches students an important life skill. Not only do students learn how to cook, but also to work as a team to get a job done. Culinary club is creating new dishes for the Morton community. Culinary student work together and help each other to finish a dish. I think this a good way to teach student and helps them with leadership and teamwork. This reminds me of an actual chief cooking skill because once in a while chief needs help with finishing a dish. I think the culinary class really does bring different aspects of life into someone as the skill of patience and teamwork is not present in many other subjects. This class is very beneficial to many whether they care about cooking or not. I sense that it helps bring others together and improves social skills and a bunch of other stuff. The culinary class to me feels like a period of break from stress and havoc from other subjects or other problems out of school so I firmly believe that the culinary class will take huge strides in the future. I think that students can really benefit from the culinary classes that Morton provides, especially to students who would like to go into a career regarding culinary. Students can learn what it is like to work in a kitchen and how everyone plays a role in the kitchen to get things done. I think that students not only learn what it is like in a kitchen but also life skills that they will most definitely use in the future. This looks like a lot of fun but also a lot of pressure because you have to keep up with everything that happens in the kitchen. I find it amazing that everyone had a job/ station where they had to be. That shows that they are really organize when it comes to being in in the kitchen. This also shows a lot of effort from the students. That is so cool that the students cook for the teachers, and I am so sad i wasn’t able to take the class because it looks super fun.